It was only about a week ago when Evan Blass leaked renders of Samsung's Galaxy Note 8's final design. The images (top) were based on factory schematics and showed black and gold versions of the phablet from all angles. There was also a rendering of the stylus as well. Blass is well known for his accuracy when it comes to mobile phone rumors, and now it appears that the CAD drawings were spot-on as the first pictures of a functional Note 8 have leaked. A tech blog called My Everyday Tech posted four images, but removed them shortly after publishing the post. Fortunately, Slashleaks was able to grab the pictures before they were taken down. 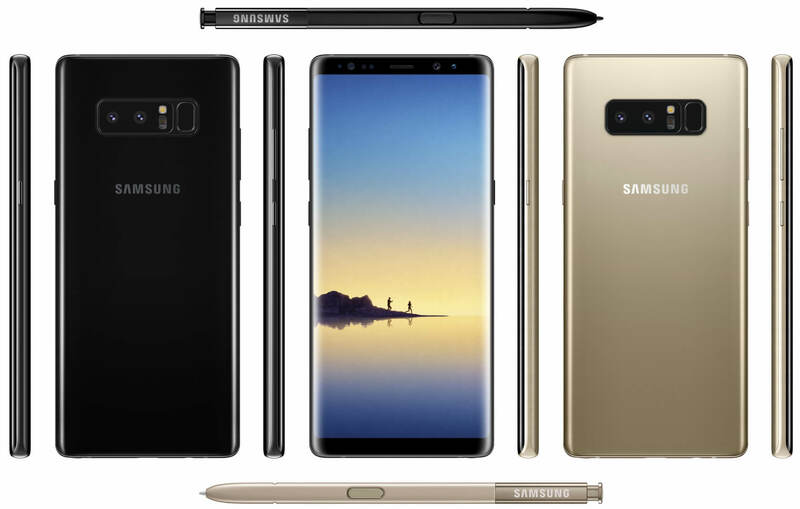 The snapshots (above) depict the Galaxy Note 8 from the front, back, and one side angle. A fourth picture (below) shows the stylus. The images fit the "Midnight Black" factory renderings perfectly including the fingerprint scanner next to the rear-facing camera, which further confirms rumors that Samsung has yet to perfect a screen-embedded version of the security measure. According to BGR, several people with “inside knowledge” say the photos are the real deal. The fact that the blog post was pulled so quickly is also a good indication that someone with authority did not like the images being revealed. The ultimate proof of the authenticity of the pictures is not far off as Samsung plans to unveil the Galaxy Note 8 on August 23. The phone is expected to go on sale September 15, but Samsung will confirm the release date at its press conference in a couple of weeks.